Part of making your drives enjoyable is listening to good music, and the best car speakers can help improve your experience altogether. When it comes down to your car’s stereo, it’s essential to pay attention to one of the most important components – the component car speakers. While, you can have the best sub-woofers installed in your car, but if you can barely make out what the vocals are, you won’t be enjoying the music very much. 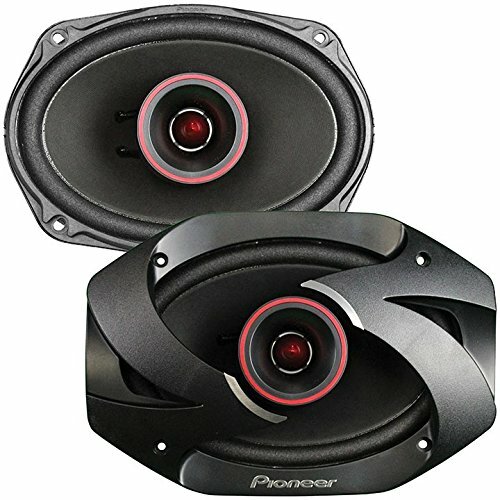 To save your time in searching for good quality speaker brands, you have compiled a list of best car speakers that are priced within reach. So, have you thought of upgrading your car music system? Excellent! You came to the right place. 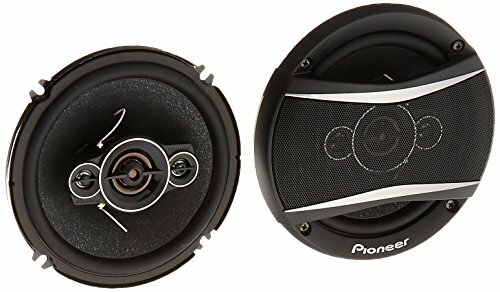 How Much do Car Speakers Cost? Also, if you want to learn more about useful car tools and accessories, check out this article – Car Accessories. Looking for the best audio speakers for cars is easy. There are many great sound systems available in the market today. So, how can you know which to get? To get top-notch car audio systems installed in your vehicles, you’ve to couple with the best car speaker brands. 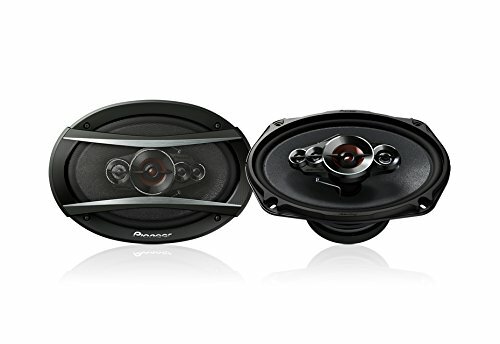 In this car speaker reviews, you will get to know which are the best car speakers for sound quality, performance, and many more. Of course, the product reviews below will also show you the different brands and their price. Some of the companies we’re reviewing are Polk Audio Car Speaker, Pioneer Car Speaker, Infinity Car Speaker, JBL Car Speakers, Kenwood Car Speaker and many more. Each speaker brands may vary in what you get in terms of features, but you can rest assure that all of the options below will produce top-notch audible experience. If you’re looking for high-performing speakers with marine certification, the new Polk Audio MM652 is your best bet! It has low distortion and is reliable in giving maximum performance. It also works well with a lot of aftermarket components like radios and amplifiers. 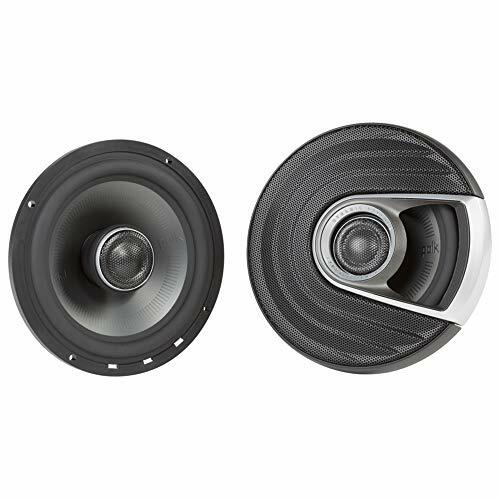 Its titanium-coated polymer woofer cone produces a crisp and full sound, while its Terylene dome tweeter provides lower resonance and excellent response. Simply put, this pair of marine speakers can deliver super clear sound from high-frequencies. It’s also waterproof and highly durable. If you’re looking for a pair of speakers that are not only powerful but also wicked beautiful, then look no further than the Pioneer TS6900PRO. It has an awesome blade-like grille design that gives a masculine edge to your car’s overall look. At 600 watts, it’s at its max power. It’s one of the loudest speakers you can get! That’s due to its features like high sensitivity and high power handling. Let’s not forget that it also has a pulp cone woofer and a bullet tweeter that produces such sweet sound. The Pioneer TS6900PRO is excellent both in handling high-frequency and low-frequency. However, the downside is that it only performs averagely in mid-range accuracy. Also, it’s only available in a few sizes which makes it hard to install in a lot of cars. Aside from that, this speaker model is one of the best out there today! Sometimes, you don’t need to sacrifice price for performance. The Infinity 9623ix shows that you can still get excellent quality sound for an affordable price. If you want something that can handle high frequencies with ease, this is it. It also has a good midrange accuracy, giving well-balanced and crisp sound. However, it doesn’t perform as well in the lower frequencies. It’s workable, though. If you want to hear that fat bass, then add a subwoofer, and you’re good to go. The Infinity 9623ix is also highly sensitive, and you would want these speakers if you’re after loudness. If you’re into classics and fan faves, then JBL and its GTO939 speakers are an excellent choice. For one, their 6×9-inch size makes them almost universally-fitting for any car model you can think of. So you won’t need to worry about that anymore! It also has a fantastic peak power handling at 300 Watts. However, it only does moderately for performance. It provides excellent high-frequency handling and gives you clean notes that don’t hurt your ears. But it only does average in both midrange and low frequencies. However, these speakers are still good to get, especially since they don’t cost as much as other brands. Loudness: you’d definitely get this with the Kenwood KFC-6995PS. Its ability to provide high volume is the best thing that this speaker model can give so if that’s what you’re after, give it a go! It comes in a variety of sizes so you won’t feel left out. Plus, it’s one of the only models in the market today that offers 5-way speakers that feature up to four tweeters. Now usually, that means excellent high-frequency handling. Unfortunately for this model, it only does averagely. It also does only moderately good in both midrange and low frequencies. 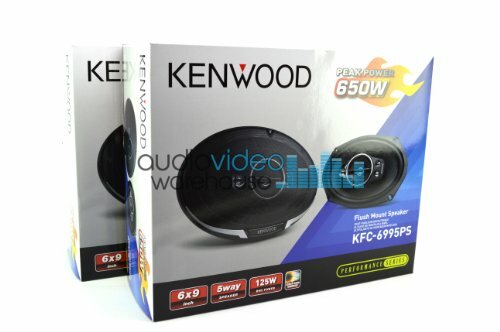 Nevertheless, the Kenwood KFC-6995 is still a huge upgrade from your factory-installed speakers. Also, it’s very affordable. Who could argue with the super affordable price? If this is your first time upgrading your system, it’s a good idea to try this speaker model out, first. If you like precise sound, then you’d probably love the JL Audio C2-650X. It has polypropylene woofer cones that produce high power without any distortion, providing you with amazingly full low-frequency sounds. Its silk dome tweeters can really get up there at the high-frequencies while still maintaining smooth sounds that won’t hurt your ears. It also has its own built-in crossover to help your speakers play your music all the better. Another powerful speaker with an affordable price tag is the Pioneer TS-A1686R. The Pioneer TS-A1686R is a 4-way speaker that provides excellent sound because of its multilayer mica-matrix woofer and PET tweeter. This budget-friendly speaker model has an extra midrange driver that produces powerful drums and deep bass lines. It also handles high-frequencies excellently. With a price below $100 and an amazing car speaker like this, you will definitely get a good deal here! Another great marine speaker that provides excellent and smooth sound is the Polk Audio DB651. This 2-way speaker can fit in most European car models and is made to play loudly without any problems. 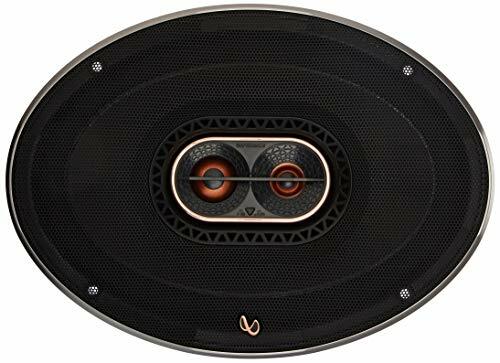 It features polymer-mic composite woofers with rubber surrounds and silk/polymer dome tweeters that can both handle high and low frequencies amazingly. Plus, it also comes with a built-in 2-way crossover which allows music to flow appropriately and seamlessly through the speakers. The above eight models are the best of the best car speakers we manage to find. Alright, it’s true that cars already come with their own sound systems when you buy them. So why would you need to upgrade to other sound systems for your car? There are tons of different reasons! Firstly, your car model might be old with a very outdated audio system. There’s a considerable chance that newer tech won’t work on it anymore. Another reason might be because your current system is already having general equipment issues. Some parts might be damaged or unresponsive. It might also be possible that the car you got was installed with an adequate car audio system. It might be lacking in the dynamic kind of sound you want. Upgrading your car sound system is not mandatory, but is highly encouraged if you want to enjoy the music to the fullest. However, you don’t necessarily need to get the most expensive or the top car speaker. Just get one that fits your budget and can give you the quality you want. If you want to get the best in car audio speakers or just like to familiarize yourself around car stereo systems, the best place to start is learning the types of speakers. There are three different kinds of car speakers that are typically sold in the market. Knowing what their differences can make buying your own easier. If you’re looking for the best car door speakers, you’ll probably want to check out tweeters. A tweeter is the smallest type of speaker and is usually under 1.5 inches in size. They are mostly mounted inside door panels, or behind the front row seats of a car. Tweeters are the ones that handle high-end frequencies found in your music. Woofers are typically what most average car owners visualize as car speakers. A woofer is the mid-sized out of the three different types and is usually between 3.5 inches to 7.5 inches. Woofers are responsible for handling the midrange frequencies in your music. Woofers in the larger sizes can handle bass frequencies better. Smaller woofers can more accurately handle higher ranged frequencies. Among the three, a subwoofer is the only type of car speaker that doesn’t come in your initial audio system. They are mostly an aftermarket installment. Subwoofers are the largest out of the three kinds, and usually, fall between 10 inches to 15 inches. Subwoofers handle the lowest frequencies in your music, and that’s why they make great bass sounds. They are also known for producing fantastic depth and clarity. When it comes to your car sounds system, it’s not required for you to buy the best car speaker brands if you can’t afford them. Sometimes a mid-ranged brand is the perfect fit your needs. So, the best car speakers really depend on your own specific needs. The fundamental thing you need to consider when you want to improve your sound system is compatibility. Make sure that your new components are well-matched with your existing system and any future plans you have for it. When you talk about impedance, it pertains to your speaker’s electrical resistance. You want to match your speaker’s impedance rating to that of your car’s stereo or amplifiers. If correctly matched, it doesn’t affect audio quality and performance. But you also don’t want to get a speaker with a high impedance if you are partnering it up with an amplifier with low impedance. Speaker System: Component or Coaxial? If there are three types of speakers, then there are two types of speaker systems. Depending on the performance you want and your budget, you can choose between Coaxial and Component speaker systems. They are also called Full Range speakers because all the components you will need are already installed. They are the most common type of speaker systems installed in cars. A coaxial speaker system has both woofers and tweeters set up. Woofers are used for lower frequencies while tweeters are for higher frequencies. Getting this kind of speaker system is best if you’re after convenience. Coaxial speaker systems require very minimal effort to install. You can even customize this speaker system by adding or removing different kinds of tweeters like detachable or swiveling ones. However, each different customization affects your system’s sound quality. 2-Way consists of a woofer and tweeter. It is also the most common type of system. 3-Way consists of a woofer, a tweeter, and a midrange. It is also called tri-axial speakers. 4-Way consists of a woofer, a tweeter, a midrange, and a super-tweeter. If you’re after the best performance and experience, you’re better of getting a component speaker system. In this kind of system, both the woofers and tweeters are mounted differently and separately to provide a better quality of sound. It uses a crossover route to make sure that high frequencies are handled by tweeters while lower frequencies are handled by woofers. However, component speaker systems are better installed by professionals since they are more complicated. Also, they are more expensive than coaxial speaker systems. Usually, music enthusiast goes for component speakers. Knowing the basics of car speakers and sound systems is excellent. But it’s not enough! You will also need to consider a few important features to ensure that you buy only the best car speakers for your ride. Sensitivity is a critical feature that you need to consider. Unfortunately, it’s also something that the average car owner can find confusing. Simply put, speaker sensitivity is the amount of volume you get given a certain amount of power. The average sensitivity is about 88 dB. Speakers have a sensitivity of below 84 dB is considered poor while one with above 92 dB is high and highly sought-after. However, know what kind of sound system you want beforehand. High-sensitivity speakers are great if you’re going to retain some of the stock components of your current stereo system since they require less power. Low-sensitivity speakers work better if you’re doing a total stereo system overhaul. The materials used to build your speakers and how they are made can ultimately affect the quality of sound they can produce. That’s because your entire audio system will be subject to the weather your car is in. So, it has to withstand extremely hot or cold conditions. For this, it’s a rule of thumb to go after speakers that have rubber surrounds. They offer the best quality and durability you would ever want. Depending on your personal preference, you can choose between hard materials for crisp quality, or soft materials for a more refined quality. Other materials you may want to look into are lightweight cone equipment or polypropylene metal fibers for woofers and subwoofers, and silk or graphite cone equipment for tweeters. Knowing how much power your speakers can handle is essential for excellent sound quality. A mismatched head unit or amplifier and speakers can lead to different problems like distortion or worst yet, blown speakers. You need to ensure that your speakers can handle the power that either your head unit or amplifier gives. One other consideration you might want to look into depends highly on personal preference. Think of your favorite type of music. Would that be something that you’ll be playing more often than others? If so, look for speakers that can highlight that genre better. Do you want ones that can provide deeper and clearer bass? Or perhaps ones that can produce more resonance and crisper sounds? See, it pays to know your most preferred genre! Never try to build a car speaker system for all type of music. Instead, build one that matches with your genre of music to get the best quality out of it. Make sure that the speakers you get actually fit your car! When it comes to compatibility, there are two ways you can go: customized or pre-made. Customization allows you to do a complete overhaul of your entire system, and ensure that every component matches each other. As well as making sure it fits your car. 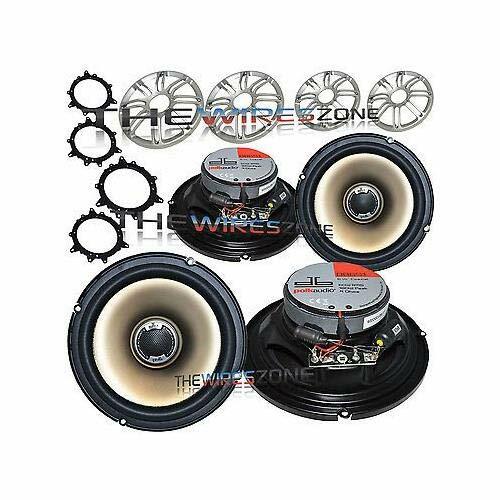 However, if you want to shop for speakers without having to buy an entirely new system or touching your car’s current design, you need to make sure that they fit the factory-made opening in your vehicle. A word from the wise? Don’t try to save if you want to upgrade your audio system. A good quality stereo system or speakers does not come cheap. Sure, set a budget but make sure it’s realistic! There are tons of moderately priced speakers that can offer you fantastic performance and improved sound quality from your current system. But, if you can still increase your budget, it’s better to get the higher-quality materials already! Knowing the speaker sizes you will need can help make your shopping easier. After all, each type of speaker comes in a different size. Size also matter depending on where you want to put your speaker in. Are you looking for good door speakers or ones for your rear deck? 6×9-inch. Excellent sound quality, High bass, can be fitted in any car. 5-inch. Excellent sound quality, Poor bass quality, can be fitted in most cars. 25-inch. 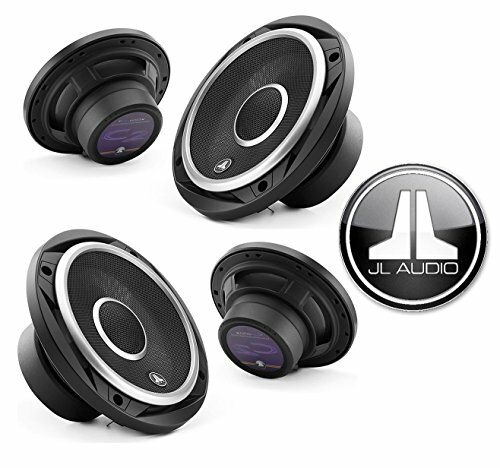 Excellent sound quality, Great bass quality, can be fitted in any vehicle. 4×6-inch. Excellent sound quality, Poor bass quality, can be fitted in some cars. 5×7-inch. Excellent sound quality, Good quality, can be fitted in a few cars. 6×8-inch. 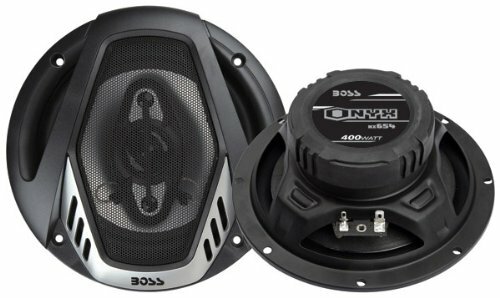 Excellent sound quality, Great bass quality, can be fitted in BMW, Mazda, Ford, Chrysler. 5-inch. Excellent sound quality, Great bass quality, can be fitted in Japanese cars. When talking about the cost of car speakers, it’s mostly about aftermarket stereos and their components. After all, you’re already paying for one when you buy a car. But if you want better quality, you’ll definitely have to shell out some money. Prices for aftermarket speakers can vary quite differently. It really depends on a lot of factors like size, quality, and specs. 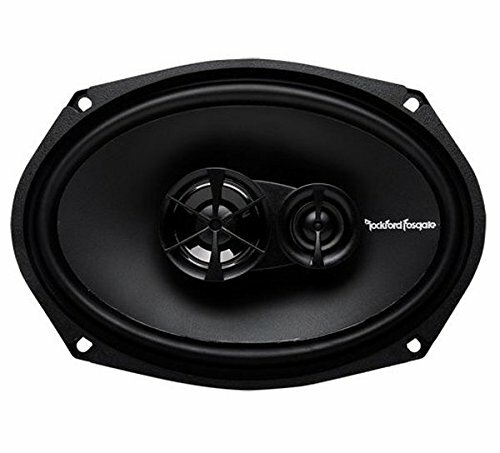 You can even buy coaxial speakers from shops like Amazon and whatnot for as low as $5. But are they as good as ones that come at $50? Probably not. Some of the best coaxial speakers start at about $60 but can go as high as $300, so it’s really up to you and your needs and budget. However, you might want to go with component speakers if you want the absolute best. Those cost about $600 initially. That’s not including additional components as well as professional installation cost. But the quality? Totally worth it! And be ready to get the best musical experience inside your car. While a good speaker is essential but other components like car speakers’ amplifiers and crossovers are equally important too. They can easily make the sound quality of your audio system better. All cars have amplifiers. They are the sounds that boost the sound your source produces. Your current amplifier already works well within your car, but it wouldn’t hurt to upgrade it if you want a bigger and louder audio system. There are different kinds of amplifiers you can buy depending on how many speakers you plan for it to power. A one-channel amplifier can only power one speaker while a three-channel amplifier can power up to three speakers. So why are crossovers important? Well, for one, they act as the computer for your entire audio system. Crossovers are the ones who send off the right frequencies to the right speaker. That means low frequencies go to woofers or subwoofers, while high frequencies to go to tweeters. It’s an electronic component that must be present in your system. So, make sure you have one if you’re customizing your own car audio system. Now that you know more about car speakers, all that is left is to research the best brand for you and buy the best car speakers and audio system for your car. There are many type and size of car speaker in the market. The list below will lead you to the buyer’s guide as well as product reviews for each car speaker size and type. As you may know, car speakers come in different sizes. You will have to get the sizes that both fit your actual car and your specific needs. Many automobiles come with 6.5-inch speakers pre-build for the stereo system. 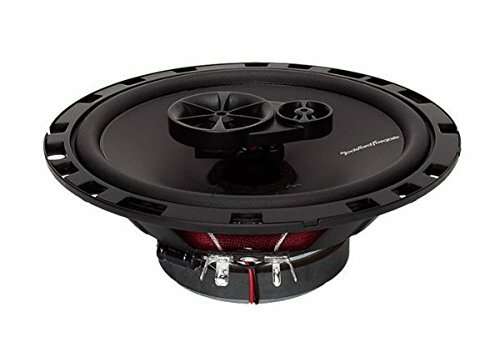 To find replacement or upgrade of your 6.5-inch component or coaxial speakers, head over to this article – Best 6.5 Speaker. 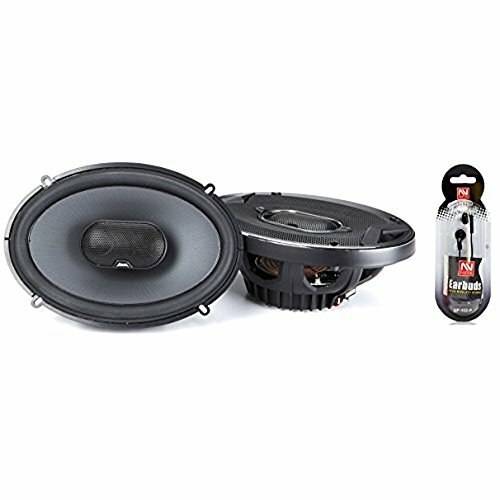 You can find all the best 6.5 component speakers or the best 6.5-inch coaxial speakers as well as a buyer’s guide and product review there. The great thing about 6×9-inch speakers is that you can fit it into almost any type of car model without any problems. If you’re looking for a universally-compatible speaker, it might be a good idea to check out this size. Not only that, but most 6×9-inch speakers can also deliver fantastic sound quality even without an amplifier. To find replacement or upgrade of your 6×9-inch speakers, head over to this article – Best 6×9 Speakers. You can find all the best 6×9-inch speakers as well as a buyer’s guide and product review there. If you’re looking for a woofer that can handle bass better, check out the larger-sized ones. But 4-inch speakers are a great choice if you’re looking for a woofer that handles high-end frequencies better. To find replacement or upgrade of your 6×9-inch speakers, head over to this article – Best 4-inch Speakers. You can find all the best 4-Inch Speakers as well as buyer’s guide and product review there. With the best marine speakers and audio system components, you can sail the waters and still have excellent sound quality as background music. To find replacement or upgrade of your marine audio system, head over to this article – Best Marine Speaker. You can find all the best marine speaker as well as a buyer’s guide and product review there. The best aftermarket car stereo system isn’t complete if you don’t have an equally incredible radio. Your entire audio system isn’t just designed to play from your pre-recorded playlists you know. Having a great radio can make listening to music all the better! To find replacement or upgrade of your car stereo system, head over to this article – Best Car Radios. You can find all the best car radios as well as a buyer’s guide and product review there. The best bass speaker for your car wouldn’t be as fantastic without an incredible amplifier to back it up. As mentioned above, amplifiers (a.k.a amps) boost the sound your car stereo produces. Also, having an amplifier can really be a game changer. It’s like a sub-par sound quality vs. luxury sound quality for just having an amp. You’ve already learned the magic that amps do, so the only thing left to do is actually to buy one. If you are looking to add or find a replacement or upgrade of your car amplifiers, head over to this article – Best Car Amplifiers. You can find all the best car amplifiers as well as a buyer’s guide and product review there. There are many places that you can buy your components from. Sure, you can go the most convenient route, and shop for them online in stores like Amazon and Autozone. But there are also tons of other shops around you that you can check out. Plus, going to the store itself will help you feel and test the product before buying it. Also, if you need an assistant in installing and setting up your speakers, amplifiers, stereo system or any other audio services, a car audio shop is the best place to get help. If you are looking to find car audio shops near you, head over to this article – Car Audio Shop. Now that you know more about car speakers, all that is left is to research the best brand and buy the best car speakers and audio system for your car.